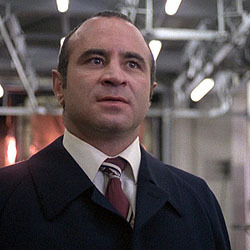 Bob Hoskins plays Harold Shand, the East End Ganagster who goes head to head with the IRA in a screenplay that was penned by Barry Keefe. Many films don’t hold up well over time, but the The Long Good Friday still packs an killer punch as a genre thriller, and in a strange way, feels prophetic of the times we find ourselves living in. At the festival you can watch the film, read the script and listen to Barry Keefe as we record an unoficial DVD chat track as we watch the film. Truly unmissable.